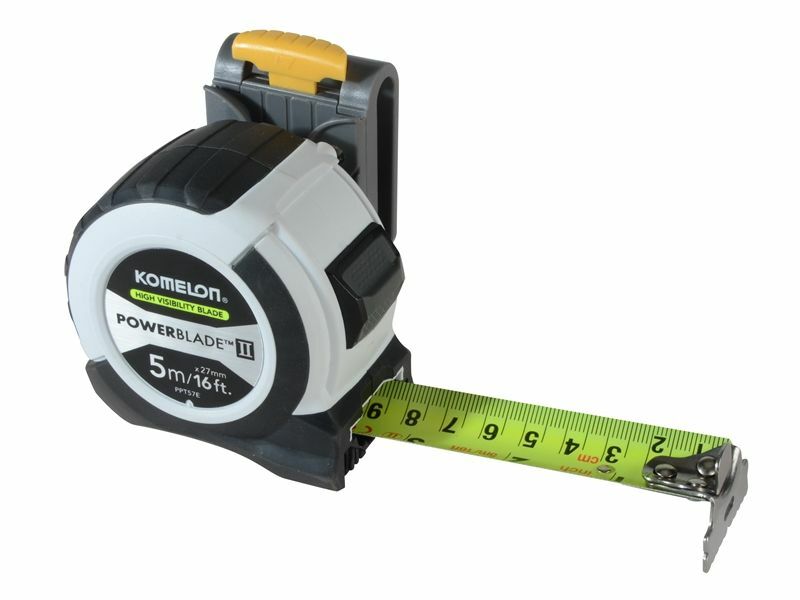 The Komelon Powerble II Tape has a EC class 2 blade with clear metric and imperial blade markings for accurate measurements. 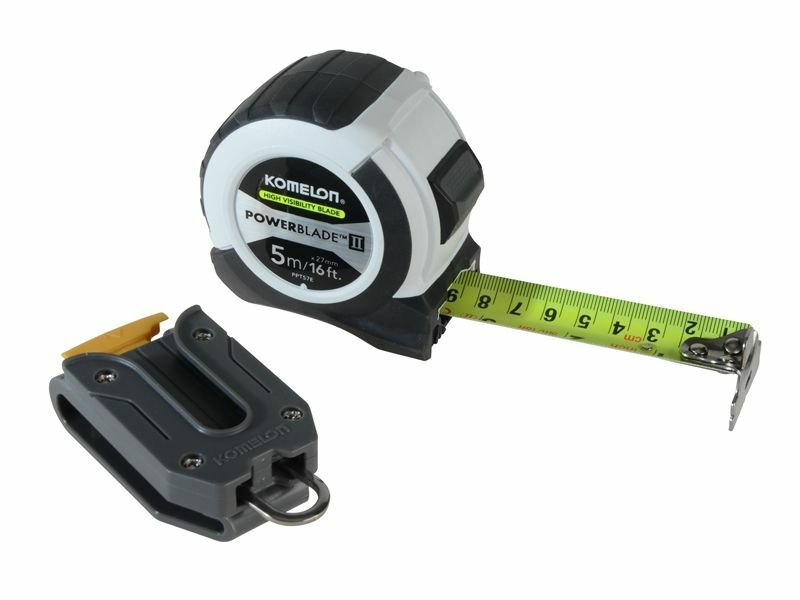 The blade features a high-quality nylon coating to protect against abrasion. 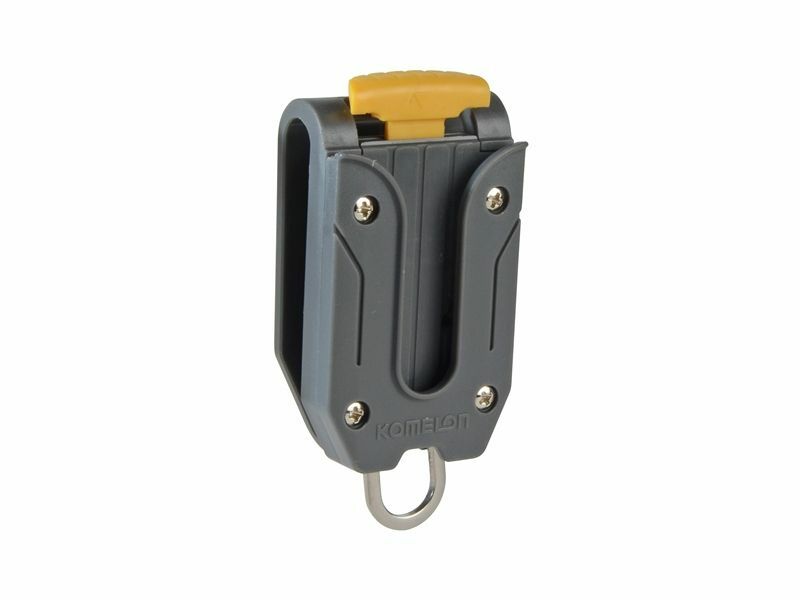 It also has marking on the reverse for easy vertical measuring. 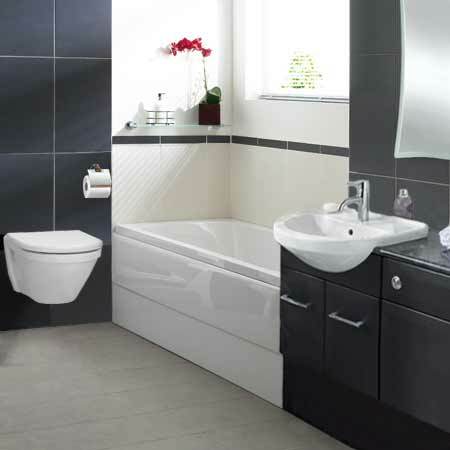 All contained with a tough, ABS plastic case with protective rubber over mould. This tape also comes with an excellent quick draw belt clip which allows for easy storage and safety when not required.